02.04.19 - RiverMeadow Software® Inc., a leading provider of automated cloud migration software announced today that it has formed a global joint partnership with Movere™, a discovery solution that provides the data and insights needed to plan cloud migrations and continuously optimize, monitor and analyze IT environments with confidence. Formerly Unified Logic, Movere was established in 2008 to serve businesses worldwide by providing a compelling and powerful technical solution to an intensely manual and error-prone process. Purpose-built for cloud migration, RiverMeadow offers a best-in-class automated Multi-Cloud Migration Platform and Managed Cloud Migration Services to guarantee a fast, low cost, low risk migration of physical, virtual and cloud-based workloads into and between public, private and hybrid clouds, regardless of the scale or complexity. 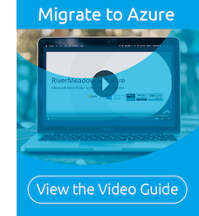 RiverMeadow provides Multi-Cloud Migration services and software to dramatically reduce the time, cost and risk associated with moving physical, virtual and cloud-based workloads into and between public, private and hybrid clouds. RiverMeadow accelerates your journey to cloud, ensuring a successful outcome regardless of scale or complexity. Our Cloud Migration Platform is agentless, non-intrusive, hypervisor agnostic and delivers cloud migrations at scale with no interruption to the current workload function and performance. Replicated source workloads are created in the target cloud and can be securely live tested, pre-validated and synchronized prior to cutover. To find out more about how you can join RiverMeadow’s fast-growing network of global partners and customers and accelerate your journey to cloud with total confidence, contact us here. Movere is an intelligent SaaS solution that automates the collection, encryption, transmission, integration and presentation of data across multiple dimensions to increase business intelligence so you can make smarter decisions about your IT environment. With incredible speed and accuracy, Movere can tell you what you have, how it’s being used, when and by whom so you can plan cloud migrations, understand your software license position, and continuously optimize physical, virtual and cloud-based environments with confidence.